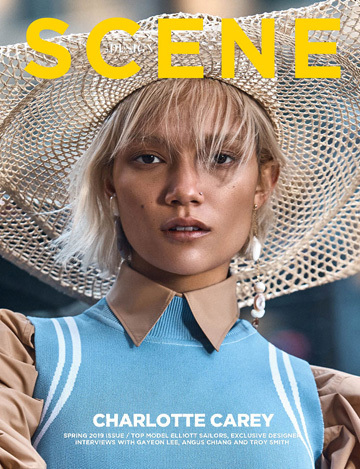 D’SCENE MAGAZINE‘s 5th issue is ready for release on July 1st and we are excited to reveal our supermodel cover stars Chanel Iman, Niki Taylor, Lydia Hearst and Daan Van Der Deen. We worked with these incredible supermodels throughout 2016 on shoots in New York, Los Angeles and Milan. In addition to the cover stars our new issue delivers more than 100 pages of fashion photography along with exciting interviews with industry’s greats such as Rankin, Hakaan and Libertine as well as our cover girls Chanel and Niki. Also – every reader that orders our D’SCENE Magazine bundle ($4.90), will receive a FREE digital copy of D’SCENE 005 on July 1st (this is a limited time offer). Continue after the jump for the better view of our cover stars and their striking D’SCENE covers.